Apple has confirmed Yves Saint Laurent former CEO Paul Deneve to work as a VP on “special projects”. Announcement came just weeks after Apple filed a trademark on word iWatch, which caused their stock to rise the same day. The company is only rumored to be getting into wearable fashion, but media is already buzzing about all kind of potential Apple endeavors. People tend to forget that we don’t hear much of YSL any more. In fact the company is no longer called Yves Saint Laurent. As of last year it has been re-branded to simply Saint Laurent. Just like a river that runs across Montreal 🙂 Yes, the name of iconic designer is no longer figuring in the company name. This was the last thing Paul Deneve has done for the company before leaving for Apple. Luckily YSL sunglasses are made and distributed by Safilo are still one of the few YSL products that carry an iconic YSL style. Safilo so far has chosen not to divert the brand name away from late designer legacy. Apple has not revealed what “special projects” Paul Deneve will be working on. He could either get involved in creating new products or managing the retail store operations, or even marketing campaigns. 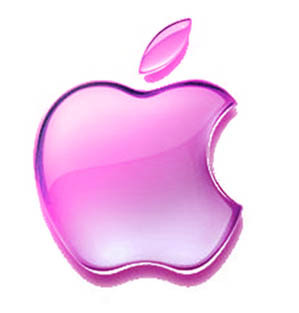 Many people want to see more cool products from Apple, iWatch, iShoes, iCar, iVaccumCleaner, iBed, iLamp, iBaby and iWife. Apple is facing a serious competition against iPhone that is coming from Samsung, BlackBerry and Huawei. Microsoft is also opening retail stores across USA and Canada to promote their software and smartphone technologies. So for Apple to take a full advantage of space in their huge store the only way would be to offer more products. Products not as sophisticated as iPhone, but cool enough to triple charge the consumer.